Who better to retell the vibrant and diverse stories of WWII and the Greatest Generation than LIFE magazine? Germany: SS leader Heinrich Himmler becomes the president of the Munich police commission. Members of the SA and Stahlhelm riot against the Jews in Germany. CBI - China: Day 68 of 142 of the 1st Battle of Hebei. 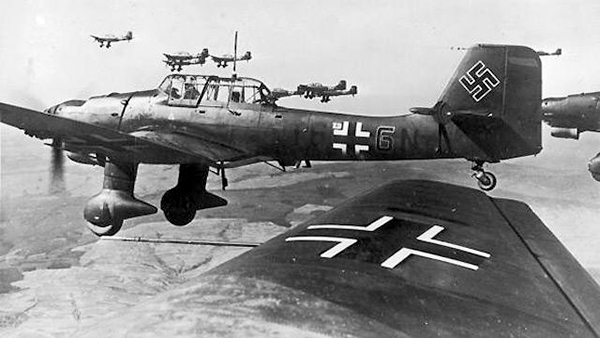 Germany: The "Law for the Reconstruction of the National Defense Forces" establishes a new national air force — the Luftwaffe — in clear violation of the Treaty of Versailles at the end of World War I.
Stukas terrorized servicemen and civilians alike across Europe. Although the existence of a free standing German army, navy and/or air force had been expressly forbidden by the Treaty of Versailles, this, as with so many other of Hitler's small "diplomatic tests of will" goes completely unchallenged. Spain: Day 236 of 985 of the Spanish Civil War. Spain: Day 601 of 985 of the Spanish Civil War. With the failed Spanish Republican attack upon Teruel, the Spanish Nationalists are now able to launch a new offensive toward Aragon and Levante in Spain. Austria: The Austrian Chancellor opposes Hitler's demand for the reunification of German speaking regions in Austria with Germany and calls for a public vote to decide, which is never held. CBI - China: Day 246 of 2,987 of the 2nd Sino-Japanese War. Day 31 of 124 of the Battle of Henan. Czechoslovakia: Czech President Emil Hácha suspends Jozef Tiso's Slovakian government and places Slovakia under martial law. Spain: Day 966 of 985 of the Spanish Civil War. CBI - China: Day 611 of 2,987 of the 2nd Sino-Japanese War. Atlantic: German sub U-14 sinks 3 British steamers 5 miles off of the Belgian coast near Zeebrugge. Atlantic: German sub U-38 fires a warning shot toward six neutral Irish trawlers 10 miles north of Aran Island, Ireland. One trawler LEUKOS is hit, killing the entire crew as it sinks. Atlantic: German sub U-28 torpedoes and sinks Greek steamer P MARGARONIS 125 miles west of Brest, France, killing the entire crew. ETO - Italy: Italian-Anglo agreement on coal is signed saying Britain has to release the captured Italian collier ships and Italy will not import any more coal from Germany by ship, but they can by using land routes. Finland: Day 101 of 105 of the Russo-Finnish War. In southern Finland, Soviets capture the village of Tali causing Finnish leader Mannerheim to suggest surrendering as only their option at this stage. CBI - China: Day 977 of 2,987 of the 2nd Sino-Japanese War. Day 116 of 381 of the Battle of South Guangxi. Day 42 of 67 of the Battle of Wuyuan. USA: A Japanese intelligence network is established in San Diego to observe the transportation of war materials. Atlantic: British minesweeping trawler HMT GULFOSS hits a mine and sinks in the English Channel 3 miles south of Dungeness, Kent, England, United Kingdom, killing 10. Atlantic: German cruiser SCHARNHORST sinks the Greek ship MARATHON 250 miles north of Cape Verde Islands after taking the entire crew prisoner. ETO - UK: Day 185 of 258 of the Blitz. In the worst air raid since early January, though not on the scale of many last year, this raid damages Buckingham Palace and destroys the underground nightclub Café De Paris, killing bandleader "Snakehips" Johnson. ETO - France: Vichy France announces that authorization is now needed for Jews to sell or rent a company. Germany: Polish Jews from the city of Oswiecim (Auschwitz) begin getting deported to the town of Chrzanow in southern Poland. MTO - Albania: After Mussolini announces he will be personally leading his troops, the Italians launch another offensive against the Greek 1st Army in Albania, but the Greeks hold. MTO - Tunisia: British submarine HMS UTMOST sinks the freighter CAPO VITA off Tunisia. MTO - Libya: The Panzer Regiment of German 5th Light Division departs Naples, Italy, and heads for Tripoli in two convoys. MTO - Egypt: Minesweeping work is completed in the Suez Canal in Egypt, allowing British carrier HMS FORMIDABLE to sail through from the Red Sea into the Mediterranean. East Africa: Day 273 of 537 of Italy's East African campaign in the lands south of Egypt. East Africa - Eritrea: Day 33 of 56 of the Battle of Keren. CBI - China: Day 1,342 of 2,987 of the 2nd Sino-Japanese War. CBI - Thailand: Day 160 of 221 of the Franco-Thai War (Vichy France vs Thailand). Atlantic: Day 55 of 169 of Germany's Second "Happy Time," during which U-boats sink 609 Allied ships with little risk. British planes from HMS VICTORIOUS attack the German battleship TRIPITZ, but the attack fails. The TRIPITZ arrives at Bogen near Narvik, Norway, later in the day. German U-boat sinks Brazilian ship CAYRU east of Atlantic City, New Jersey. Russian Front - North: Day 183 of 872 of the Siege of Leningrad. Russian Front - North: Day 30 of 102 of the Battle of the Demyansk Pocket, another failed attempt to break the siege at Leningrad. Russian Front - North: Day 46 of 103 of the Battle of the Kholm Pocket. Another attempt to break the siege at Leningrad. Russian Front - Center: Day 61 of 103 of the Battle of Vyazma, Russia. Russian Front - Center: Day 61 of 103 of the Battle of Sychevsk, Russia. Russian Front - Center: Day 7 of 49 of the Battle of Rzhev, Russia, a diversion to pull more German troops away from Moscow. Russian Front - South: Day 131 of 248 of the Siege of Sevastopol, Crimean Peninsula. All German attacks against Sevastopol are shut down for the winter. CBI - Burma: Day 86 of 164 of Japan's Invasion of Burma. Japanese troops enter the undefended city of Rangoon which has been abandoned by the British. The Burma Road is now closed cutting off China's supply line. CBI - China: Day 1,707 of 2,987 of the 2nd Sino-Japanese War. Day 76 of 99 of the 3rd Battle of Changsha. CBI - Java: Day 10 of 13 of the Battle of Java. PTO - Borneo: Day 84 of 107 of the Battle of Borneo. PTO - Malaya: Day 19 of 357 of the Battle of Timor Island. PTO - New Guinea: Day 2 of 6 of the 1st Battle of Lae-Salamaua. Japanese troops drive out the few Australian defenders guarding this area. PTO - Philippines: Day 92 of 152 of the 1st Battle of the Philippines. 5th Air Force provides air support. USA: 40,000 people attend an event at Madison Square Garden in New York City organized by Peter Bergson to raise awareness of the Nazi extermination of European Jews. Atlantic: German sub U-510 attacks seven American ships and one British ship in three hours off the coast of Brazil. Two are sunk, two are total losses and four are damaged in what will become the most successful single U-boat action of the war. Russian Front - North: Day 548 of 872 of the Siege of Leningrad. Russian Front - North: Day 28 of 51 of the USSR's Operation POLAR STAR, a failed offensive north of Leningrad, hoping to take the southern shore of Lake Ladoga, Russia. Russian Front - North: Day 309 of 658 of the Siege of the Kholm Pocket, USSR lays siege to the Kholm Pocket but the Germans hold out for a about a year and a half. Russian Front - Center: Day 8 of 30 of the 3rd Battle of Rzhev-Sychevka, Russia. Russian Front - South: Day 19 of 25 of the 3rd Battle of Kharkov, Ukraine. Russian Ace Yekaterina Budanova shoots down a German BF-109 fighter, sharing the credit with other pilots. MTO - Tunisia: Day 113 of 178 of the Battle of Tunisia. RAF and US Air Forces provide Allied air support. Erwin Rommel leaves North Africa for Germany for reasons of health. CBI - Burma: Day 79 of 104 of the 1st Battle of Arakan. US 10th Air Force provides air support. CBI - Burma: Day 30 of 79 of the Allied Operation LONGCLOTH. CBI - China: Day 2,072 of 2,987 of the 2nd Sino-Japanese War. CBI - India: Operation BOARDING PARTY: SOE deploys the Calcutta Light Horse regiment to attack the German ship EHRENFELS in the neutral Portuguese port of Goa. Records of such will remain classified until 1978. PTO - Alaska: Day 276 of 435 of the Battle of Kiska, Aleutian Islands. US 11th Air Force warplanes attack the enemy on Kiska Island. PTO - Solomon Islands: The Japanese Navy Kure 6th Special Naval Landing Force lands between Bairoko and Enogai and near the Munda airfield on New Georgia. ETO - Germany: US 8th Air Force B-17s bomb at Berlin while the B-24s attack at Hannover, Brunswick and Nienburg. Germany: In a letter to Hermann Goering, Heinrich Himmler notes that about 36,000 prisoners were employed for various purposes for the Luftwaffe and needs to be increased to 90,000. Germany: Gusen II, a satellite of Mauthausen Concentration Camp, opens at St Georgen, Austria. Prisoners of Gusen II are used to build underground aircraft and weapons factories. Russian Front - North: Day 37 of 191 of the Battle of the Narva Isthmus, Estonia. Both German and Soviet troops in the Baltic region go on the defensive. Russian Front - South: Day 77 of 113 of the USSR's Dnieper-Carpathian Offensive in southwestern Ukraine. Russian Front - South: Day 6 of 45 of the Battle of Chernovtsy, Ukraine. Russian Front - South: Day 4 of 44 of the Battle of Snigirevka, Ukraine. MTO - Italy: Day 53 of 123 of the Battle of Monte Cassino. RAF and US Air Forces provides air support for the Allied ground troops. MTO - Italy: Day 48 of 136 of the Battle of Anzio. RAF and US Air Forces provides air support for the Allied ground troops. CBI - Burma: Day 71 of 99 of the 2nd Battle of Arakan. CBI - Burma: Day 5 of 166 of the UK's Operation THURSDAY. CBI - China: Day 2,438 of 2,987 of the 2nd Sino-Japanese War. 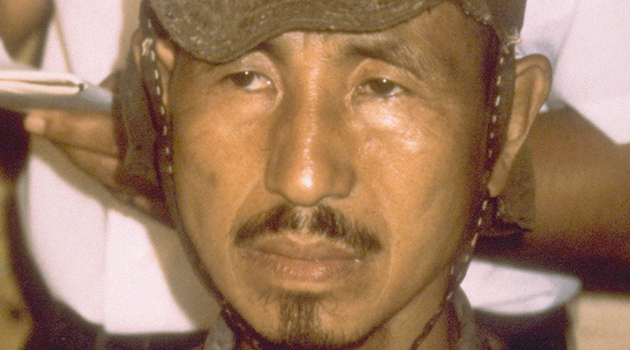 CBI - India: Day 2 of 118 of the Battle of Imphal-Kohima. Japanese troops invade India from northern Burma. PTO - Dutch East Indies: The USS POMPON attacks a Japanese convoy in the Dutch East Indies but all 4 torpedoes miss. PTO - New Guinea: Day 10 of 80 of the Battle of the Admiralty Islands. 5th Air Force provides air support. PTO - New Guinea: Day 173 of 219 of the Battle of Shaggy Ridge. US 13th Air Force provides air support. The Battle of Hill 700 goes into its second day. PTO - New Guinea: Day 86 of 597 of the Battle of New Britain. 5th Air Force provides air support. US Marines land at Talasea. PTO - Solomon Islands: Day 130 of 295 of the Battle of the Bougainville Islands. US 13th Air Force provides air support. Atlantic: German light naval vessels from the still German occupied British Channel Islands enter the Allied supply port of Granville in Bretagne and sink five ships. ETO - France: Day 221 of 284 of the Battle of Brittany. ETO - France: Day 176 of 236 of the Siege of Dunkirk. ETO: Day 49 of 66 of the Battle to the Rhine. Day 3 of 20 of the Battle of Ramagen. The US 1st Army widens the Remagen bridgehead while US 3rd Army captures Andernach on the Rhine. US 9th Air Force provides air support. ETO - Germany: Day 3 of 46 of the Battle of the Ruhr Pocket. ETO - Germany: Day 18 of 36 consecutive RAF night raids on Berlin. Russian Front - Finland: Day 176 of 223 of the Lapland War. Finland and Russia have joined forces to kick the Germans out of Finland's most northern province. Russian Front - Center: Day 146 of 206 of the Battle of the Courland Pocket in Latvia. Russian Front - Center: Day 44 of 75 of the Battle of Königsberg, East Prussia (now Kaliningrad, Russia). Russian Front - Center: Day 43 of 63 of the Battle of the Heiligenbeil Pocket in East Prussia. Russian Front - Center: Day 28 of 54 of the Battle of East Pomerania, Germany. Russian Front - Center: Day 25 of 83 of the German Siege of Breslau (today Wroclaw, Poland). Russian Front - Center: Day 6 of 15 of the Battle of Kolberg, Germany (today Kolobrzeg, Poland). Russian Front - South: Day 4 of 11 of the failed German Operation FRÜHLINGSERWACHEN (Spring Awakening) at Lake Balaton, Hungary. The idea was to destroy their oil fields. Russian Front - South: Day 4 of 16 of the Battle of Drava (a river in Bulgaria). Germans attack the Bulgarians, hoping to distract the Soviet advance on Berlin. CBI - Burma: Day 50 of 61 of the Battles of Meiktila and Mandalay. The US 10th Air Force provides air support. CBI - Burma: Day 34 of 99 of the Battle of Pakokku and Irrawaddy River operations in central Burma. The US 10th Air Force provides air support. CBI - China: Day 2,803 of 2,987 of the 2nd Sino-Japanese War. PTO - Japan: Day 1 of 2 of Operation MEETINGHOUSE, the single most destructive bombing raid in history. In an attempt to break Japanese morale, US B-29s begin fire bombing Japan's major cities. Tonight's B-29 raid on Tokyo leaves over 15 square miles afire, killing close to 100,000 people and wounding even more. PTO - Japan: USS KETE attacks a Japanese convoy off the Ryukyu Islands, sinking three transport ships. PTO - Japan: US 7th Air Force B-24s bomb targets on Chichi Jima Island during the day and again at night. PTO - Japan: Day 19 of 36 of the Battle of Iwo Jima. US 7th Air Force provides air support. PTO - New Guinea: Day 438 of 597 of the Battle of New Britain. US 10th Air Force provides air support. PTO - New Guinea: Day 322 of 481 of the Battle of Western New Guinea. US 10th Air Force provides air support. PTO - Philippines: Day 141 of 299 of the 2nd Battle of the Philippines, aka the Liberation of the Philippines or the Philippines Campaign. PTO - Philippines: Day 85 of 244 of the Battle of Luzon. 5th Air Force provides air support. 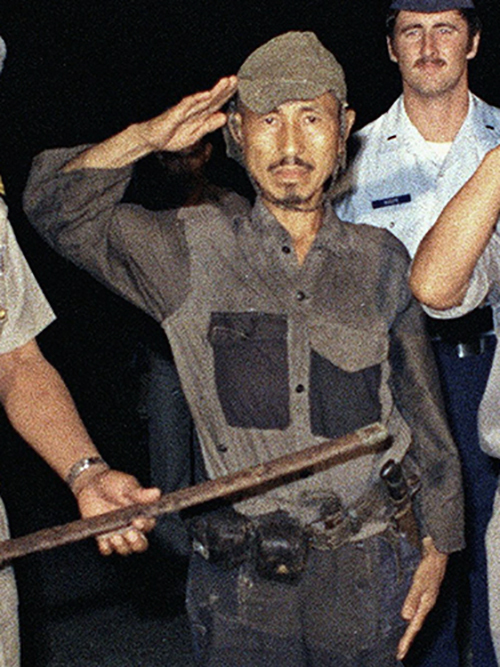 Philippines: After nearly thirty years of hiding in the mountains, 2nd Lt Hiroo Onoda, the second to the last Japanese holdout, finally surrenders after he is personally issued orders relieving him of duty by his former commander. Onoda was an intelligence officer sent to Lubang Island in the Philippines. He was ordered to do all he could to hamper enemy attacks on the island, including destroying the airstrip and the pier at the harbor. Onoda's orders also stated that under no circumstances was he to surrender or take his own life. 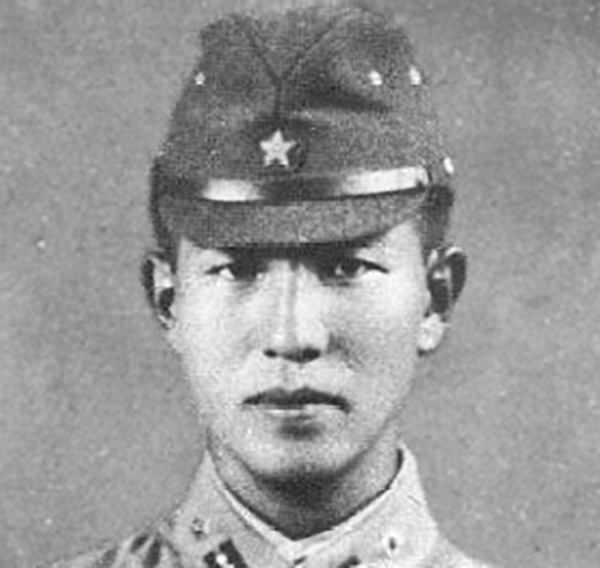 When the island fell to US forces, Onoda, now promoted to 2nd Lieutenant, continued his campaign as a Japanese holdout, initially living in the mountains with three fellow soldiers. He and his companions carried out guerrilla activities, killed some 30 Filipino inhabitants of the island and engaged in several shootouts with the police. The first time they saw a leaflet announcing that Japan had surrendered was in October of 1945. Other holdouts had killed a cow and found a leaflet left behind by islanders which read: "The war ended on August 15. Come down from the mountains!" However, they mistrusted the leaflet, because another group of holdouts had been fired upon a few days previously. They concluded that the leaflet was Allied propaganda, and also believed that they would not have been fired on if the war had indeed been over. Toward the end of 1945, leaflets were dropped by air with a surrender order printed on them from General Tomoyuki Yamashita of the Fourteenth Area Army. They had been in hiding for over a year, and this leaflet was the only evidence they had the war was over. Onoda's group looked very closely at the leaflet to determine whether it was genuine, and decided it was not. On February 20, 1974, Onoda met a Japanese man, Norio Suzuki, who was traveling around the world, looking for "Lieutenant Onoda, a panda, and the Abominable Snowman, in that order". Suzuki found Onoda after four days of searching. Onoda and Suzuki became friends, but Onoda still refused to surrender, saying that he was waiting for orders from a superior officer. Suzuki returned to Japan with photographs of himself and Onoda as proof of their encounter, and the Japanese government located Onoda's commanding officer, who then flew to Lubang to formally relieve Onoda of his duties. Onoda turned over his sword, his functioning rifle, 500 rounds of ammunition and several hand grenades, as well as the dagger his mother had given him in 1944 to kill himself with if he was captured. Though he had killed people and engaged in shootouts with the police, the circumstances (namely, that he believed that the war was still ongoing) were taken into consideration, and Onoda received a pardon from Philippine President Ferdinand Marcos. Onoda returned to Japan with celebrity fanfare. He was reportedly unhappy being the subject of so much attention and troubled by what he saw as the withering of traditional Japanese values. In April 1975, he followed the example of his elder brother Tadao and left Japan for Brazil, where he raised cattle. He revisited Lubang Island in 1996, donating US$10,000 for the local school on Lubang. He died in Tokyo of heart failure on January 16, 2014. For a Japanese soldier to choose not to surrender, but go into hiding and become a holdout, meant deprivation, hardship and shame, which for some lasted 10 to 30 years.